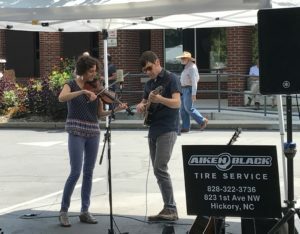 The Autolawn Party is an exciting, community event scheduled for the weekend of Saturday, September 7, 2019 on the SALT Block lawn in Hickory next to its beneficiary, Hickory Museum of Art. The Autolawn Party is a celebration of the road’s number one traveler – the automobile. 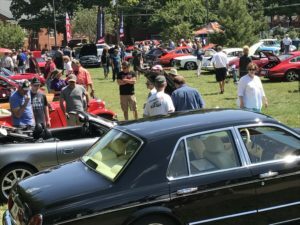 The celebration is centered around a European classic car show for the automotive enthusiast, but it’s far more than that. There’s something fun for everyone. 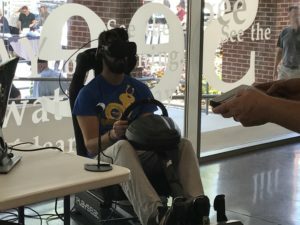 Events include the car show, food, art exhibits, children’s activities, music, beer garden, merchandise for sale, raffle prizes, a ride and drive, and awards ceremonies. The event is open to the public, and there is no charge for spectators, who can also vote for their favorite classic car. The Autolawn European Classic Car Show is unique for its size and scale in having only 80 entrants. The intention is to provide a wide range of high-quality, original vehicles in an intimate yet informal setting, without the pressure of traditional Concours events. Each year this event will highlight a different region or brand. Awards will be given in a small number of peer-judged classifications and select categories. For more details about The Autolawn Party, submit your request in the form below or contact Kit Cannon, Event Co-Director at (828) 312-2494. Congratulations to the 2018 Autolawn Winners! Thank you to all participants who contributed to the success of this year’s 6th Annual Autolawn European Car Show!! We’ll see everyone next year. 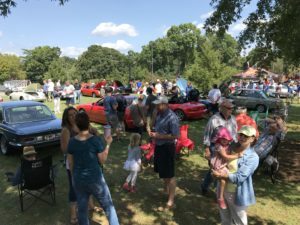 The Autolawn Party is an exciting, Euro Classic Car Show and Event held annually the first weekend after Labor Day on the SALT Block lawn in Hickory next to it’s beneficiary, The Hickory Museum of Art. The Autolawn Party is a celebration of the road’s number one traveler – the automobile. Click this link to learn more about the Autolawn Party.